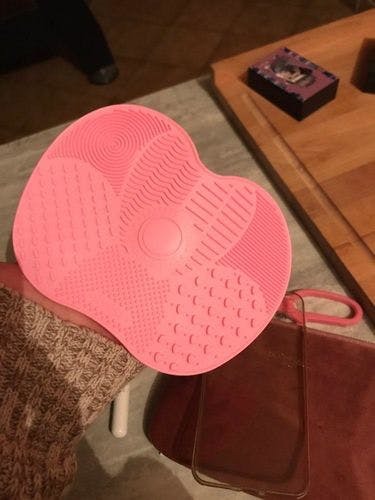 Silicone Makeup Brush Cleaning Washing Tool! This is a handy tool for cleaning your cosmetic make-up brushes.Made of high quality durable silicone. It is easy and used for cleaning the brush. How to use brush cleaner: Wet the Bristles of your Brush; pour some cleaning solution on the Cleaning Pad. Gently move your Brush on the Cleaning Pad with circular motion till you get the entire leftovers out of the bristles. Rinse the brush off, lay your Brushes flat to dry. 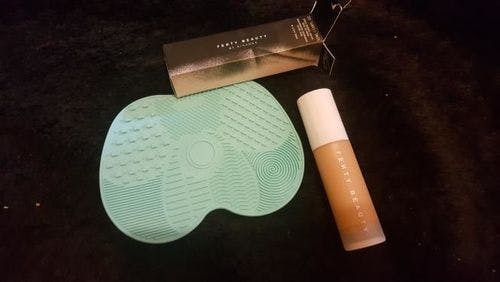 Package includes: 1 x Silicone brush cleaner Pad (brush not included) . My brushes have never been so clean! I absolutely love the value of this product. I just Love the color. I just Love the color. And this work awesome for cleaning makeup brushes. This small and does a lot more ! This small and does a lot more !! Such a perfect thing for makeup brushes !! Love these brush cleaning mats!